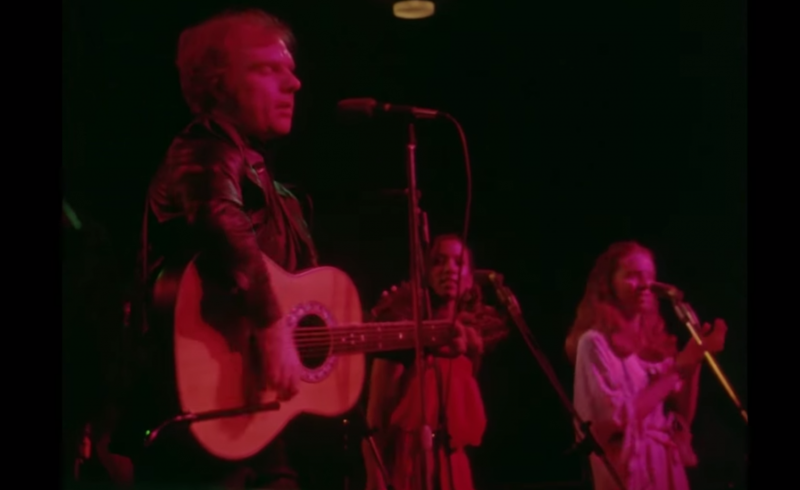 Van Morrison in Ireland is the first official video by Northern Irish singer-songwriter Van Morrison, released in 1981 of a concert Morrison recorded in Northern Ireland two years earlier. The video also shows footage of the band whilst touring in Ireland and images of Belfast, including Hyndford Street and Cyprus Avenue. “The band display a range of textures reminiscent of The Caledonia Soul Orchestra, first with the dark resonance of Toni Marcus’ violin, then Pat Kyle’s bright sharp tenor sax and finally Bobby Tench’s prickly electric guitar”. This concert featured the band with which Morrison recorded his 1978 album Wavelength, augmented by a horn section and violinist. The concert included two songs from Wavelength, the title track and “Checkin’ It Out”. The rest of the songs had originally been recorded at least seven years earlier, the latest of these being “Saint Dominic’s Preview” from 1972. Also on the video are two songs Morrison had recorded when fronting the band Them in the mid 1960s — “Don’t Look Back” and “Gloria”. The film consists of a performance of ten tracks recorded in Belfast, Northern Ireland, in February 1979. This was the first time that Morrison had played in Belfast, since 1965. 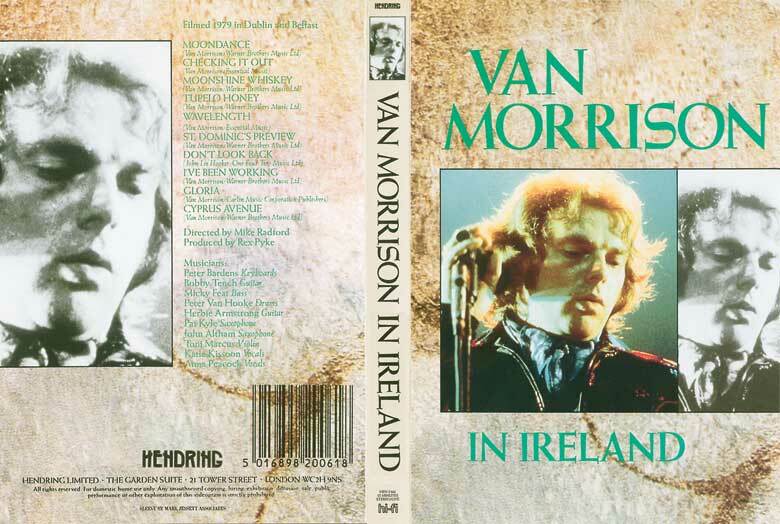 I’ve have however read on several Morrison sites that the footage was recorded at Whitla Hall, Belfast, February 20, 1979 and National Stadium, Dublin, Ireland, February 22, 1979.